…there’s always a sting in the tail…. You may play with the spelling of Tail / Tale if it helps! 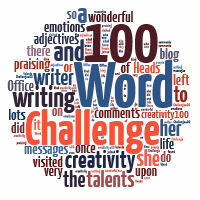 If this is your first visit do read ‘What is 100WCGU?’ You’ll see that you have 100 words to add to those in the prompt to produce a creative piece to share. You link it below and have until Monday 3rd June to do so. Click here to enter your link and view this Linky Tools list. I will move it to this page as soon as possible!